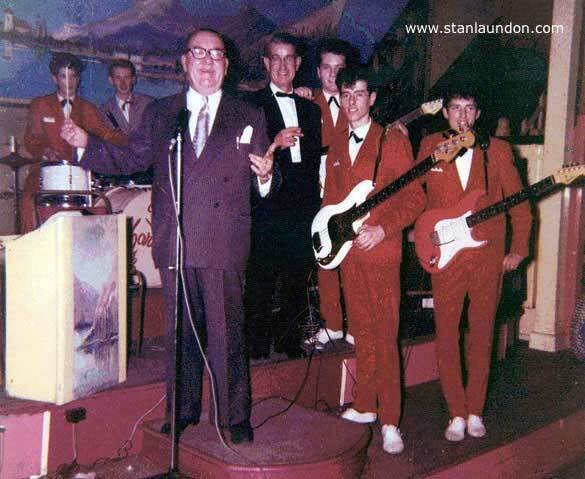 The Hartbeats at the Maison de Dance in Stockton, with the master of ceremonies the late and great Jack Marwood. 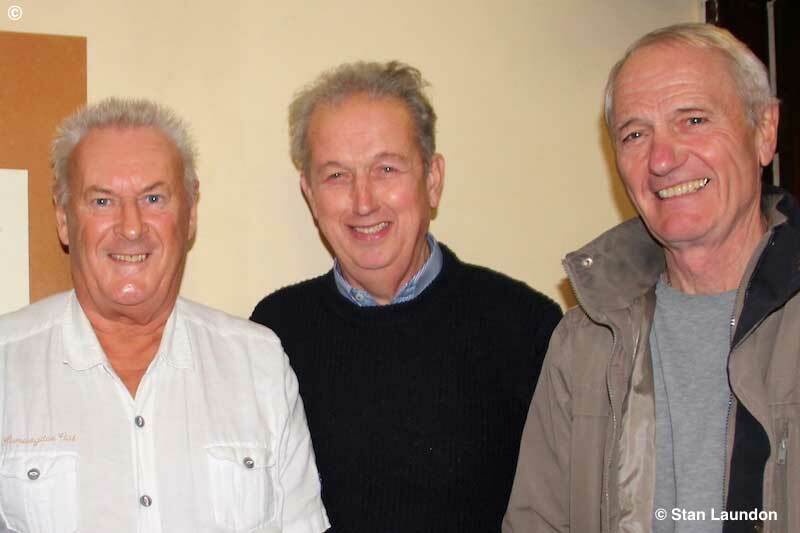 With Jack are George Hart Senior, Roly Thompson, John Rogan and George Hart. John Hart is in the background at the drum kit. Jack Marwood was, of course, leader of Jack Marwood & his Orchestra. He was a great musician and liked by all the groups who worked for him. The Maison de Dance compere, Terry Hoey, is at the back next to John Hart on drums. Underneath the stage at the Maison de Dance, we are told, was a cellar trap door with a passage leading to the old Empire building on the site of the old Stockton Castle. 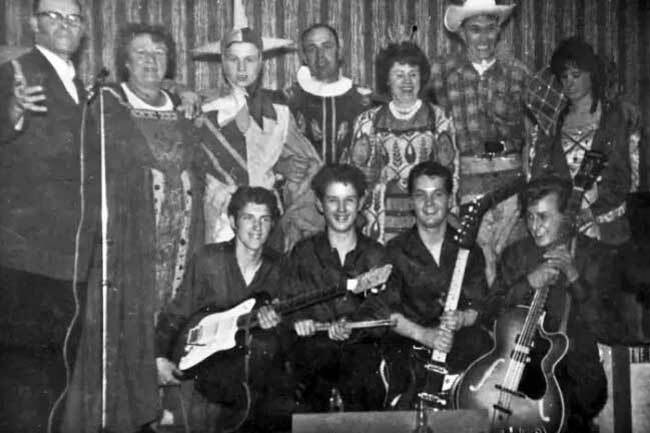 A very rare photograph of The Hartbeats taken by Marg Dickinson at Easington Welfare Hall on April 30th, 1962 and used with thanks. It shows John Hart on drums, Roly Thompson on rhythm guitar, George Hart on lead, Brian Gibson on vocals with John Rogan on bass. 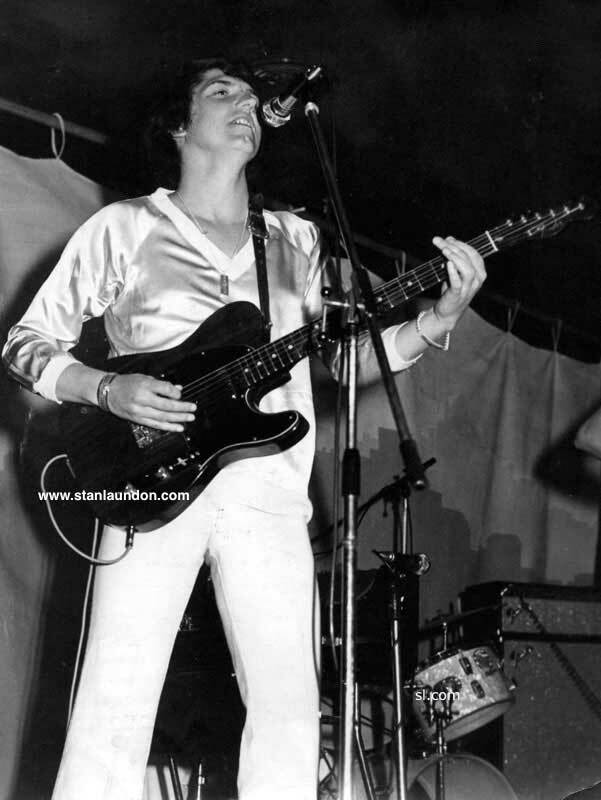 George Hart with a Fender Stratocaster in 1960 and, on the right, with a Telecaster taken in Tunisia sometime during the early 1970's. 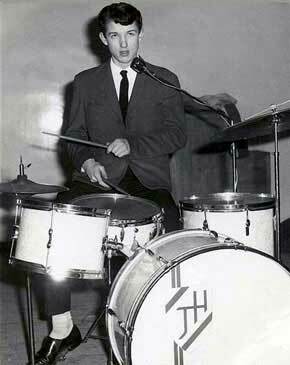 John Hart on drums and, on the right, a photograph which dates back to 1963 and was taken after The Hartbeats won a band competition. 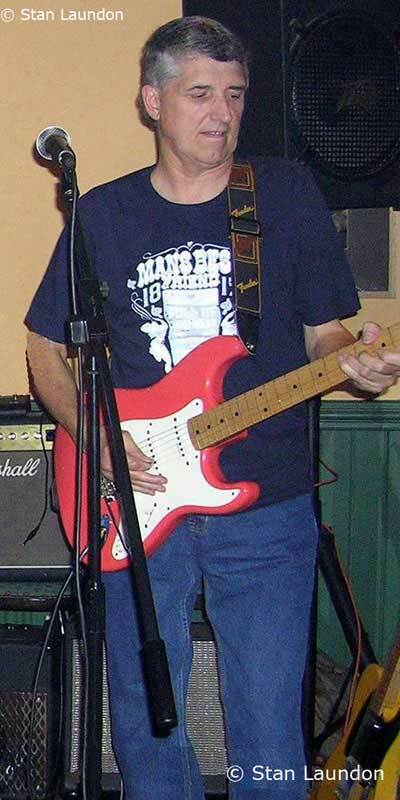 Geoffrey Alder who is playing the white Stratocaster says, "I remember one of the other bands was The Haft'a Darkks. Two of the band members were brothers called Alec and Brian Weegram I believe?" 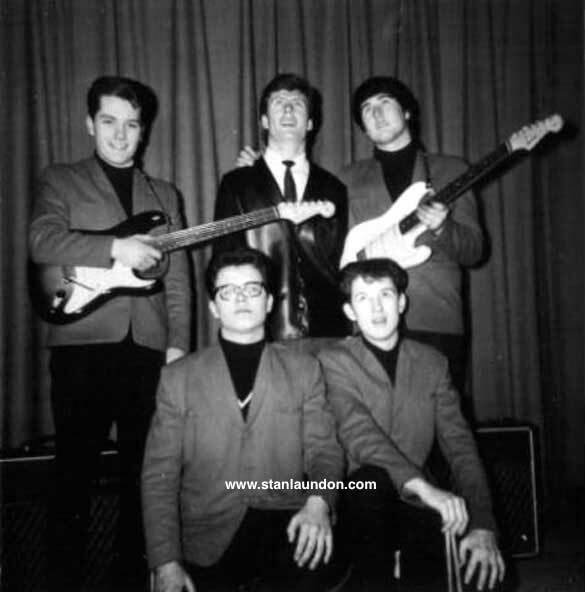 Other Haft'a Darkks members included Pete Maunder on rhythm guitar and Billy Collier on lead. The photograph shows Geoffrey Alder with the Stratocaster, Roly Thompson with the Gibson guitar, Peter Trundley on Gibson bass, Harry Bilton – the lead vocalist and holding the trophies - and John Hart on drums. Geoffrey Alder replaced George Hart as lead guitarist and John Hart is George's brother. 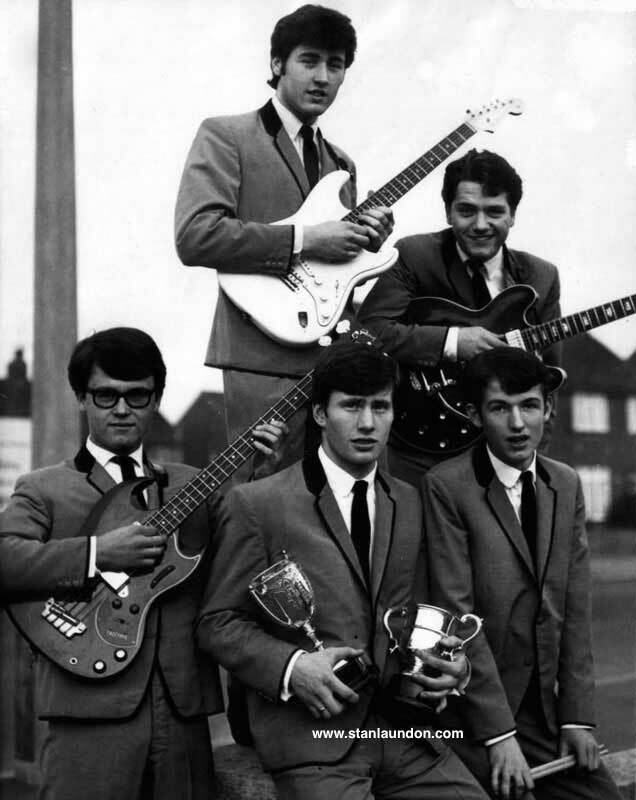 Peter Trundley took over on bass guitar after John Rogan left the band to join Adam Faith and The Roulettes. 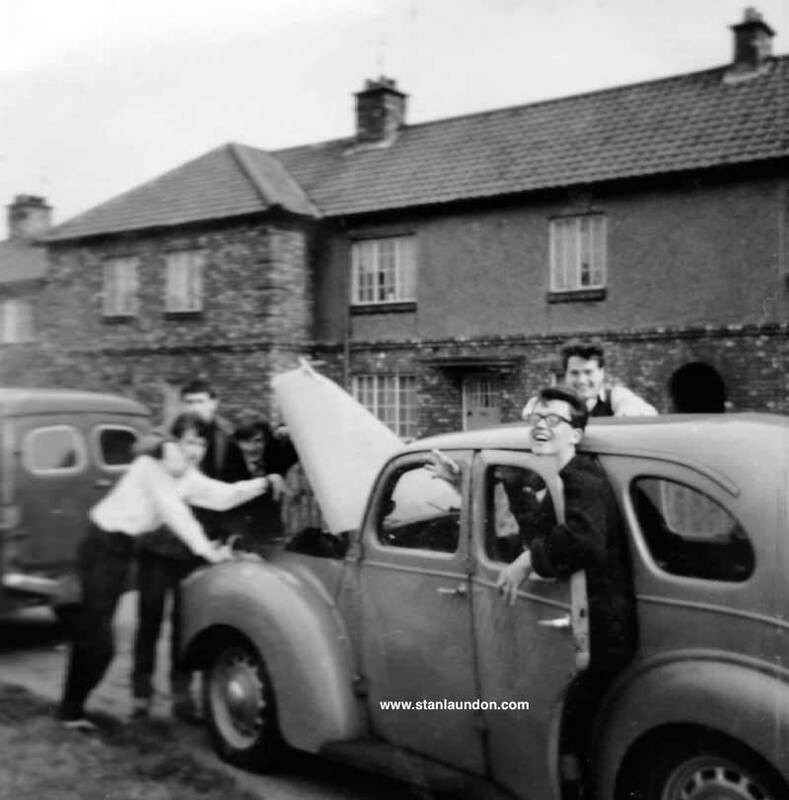 The Hartbeats outside the Catcote Hotel - Geoff, Peter, Harry, John and Roly. 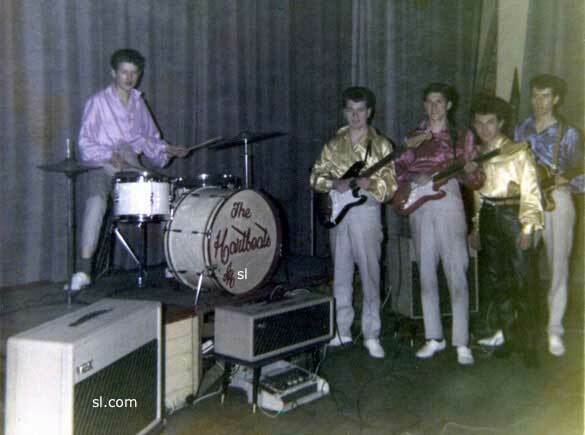 The Hartbeats at Hartlepool Community Centre in 1963. The Hartbeats in John Hart's front room in 1963. The LP they are looking at is "Joe Brown - Live" which was recorded at the Globe Theatre, in Stockton during 1962/63. The Hartbeats perform at a local dance. This photograph, from 1965, shows John Hart, George Hart and Derek Allen at the back with Roly Thompson and Ken Officer in the front. 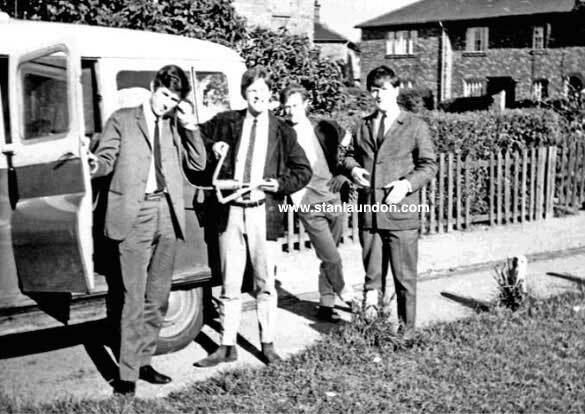 Another rare photograph from 1965 which shows John Hart, Brian Officer, Ken Officer and Roly Thompson. Two photographs of John and George Hart at the Causeway, in Hartlepool, October 2006. Photographs © Stan Laundon. 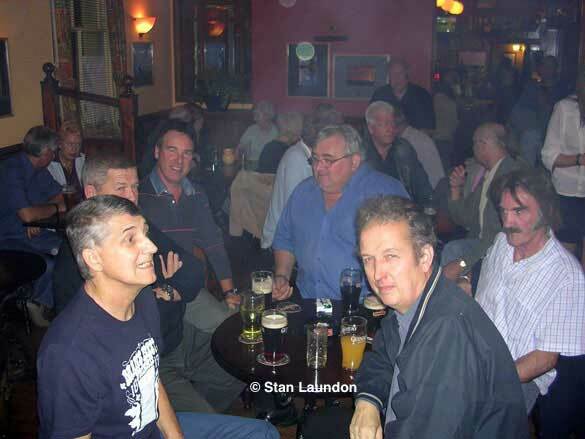 George and brother John enjoying a drink at a Blues Club Night in The Causeway, Hartlepool in October, 2006. George Hart, who was the founder member and lead guitarist of the 60's Hartlepool band The Hartbeats, passed way during the early hours of May 27th, 2008 after suffering from cancer. He was 64. 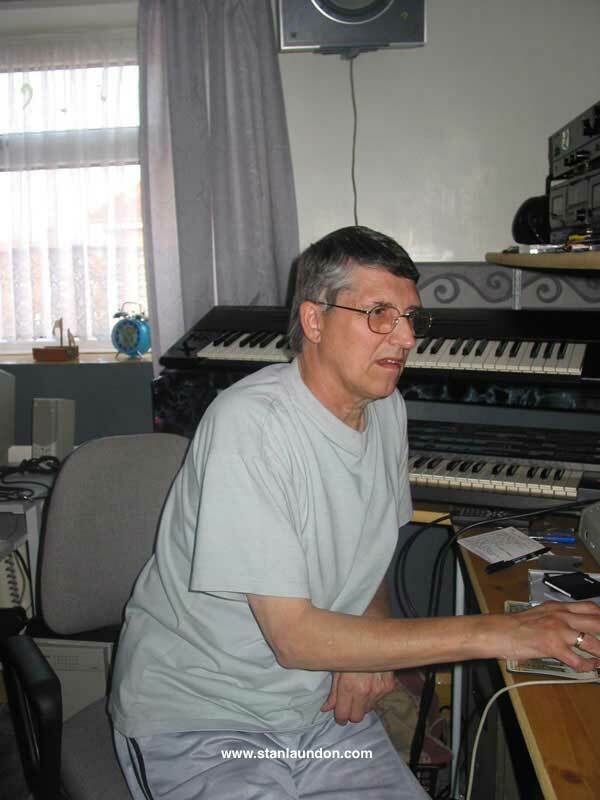 He started his musical career at the age of ten when he studied keyboards. At 15 he opted to play guitar and, along with his brother John, founded The Hartbeats. In later years he also played with The Plainsmen, The Reaction Show Group, Two of Hearts, The Harts Showgroup and The Hart Family who won the ITV television show "New Faces" in 1974. George Hart taken at Hartlepool Cricket Club in June, 2004. Photograph © Stan Laundon. Nothing to do with The Hartbeats directly, but two photographs of George at The Causeway in Hartlepool dating back to 2006. Photographs © Stan Laundon. How nice it is, too, to see George and The Hartbeats mentioned in a 1965 video from North East Film Archive which was filmed at The Queen public house in Easington Road. It's a commercial for Vaux beer and well worth a look. This page is dedicated to the memory of George Hart. All photographs on this page are copyright to their respective owners and must not be used, or copied, in anyway without prior written permission. All credit is given wherever possible. Thanks to Geoffrey Alder, Marg Dickenson, George Hart, Sue Hart, Alan Lindridge, Dr. Barry McGurk and Derrick Rowbotham for use of the photographs on this page. The John Rogan article is courtesy of the Northern Daily Mail. The Google monkey on this page was created by Dave Sutton graphics and free 3D animated gifs for web sites. A brief history of The Hartbeats as told by Brian 'Smirky' Moon who was one of the founder members. 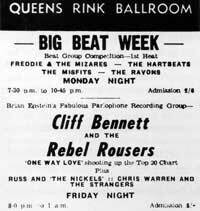 It was George, John Rogan and myself who formed the original Hartbeats. 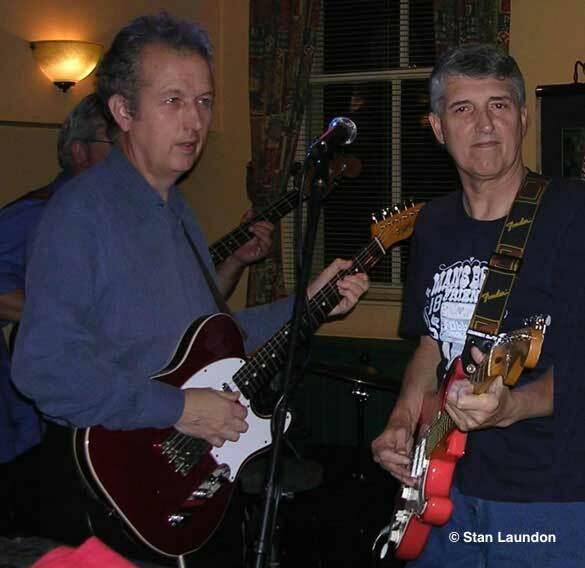 George played lead, John played rhythm and I played bass only using a standard guitar with the bass turned up because we couldn't afford a proper bass guitar. 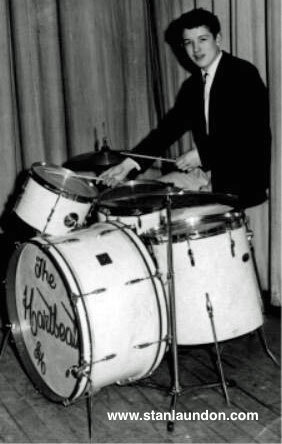 We had a number of drummers in the early days - the one I remember most was Simmy Reay. 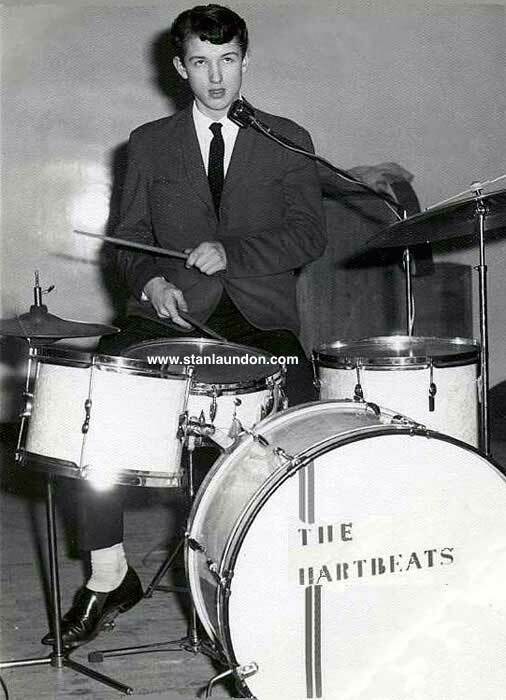 Young John Hart used to always be around at practice and eventually played drums. 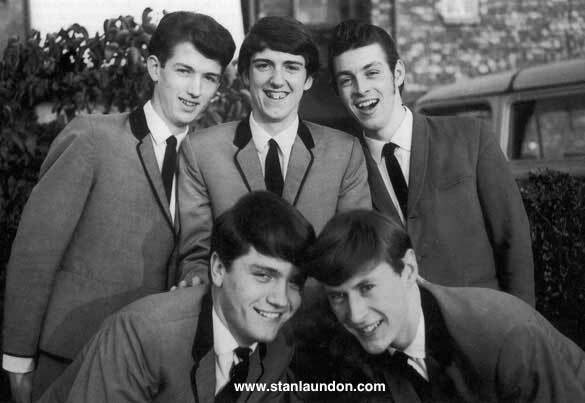 The very first gig we did was in old Hartlepool at a small workman's club when we each got 10 bob for the night - brilliant! 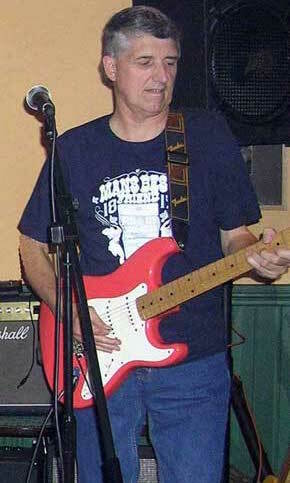 Afterwards the most regular gig we had was every Friday and Saturday at the Queen in Easington Road. 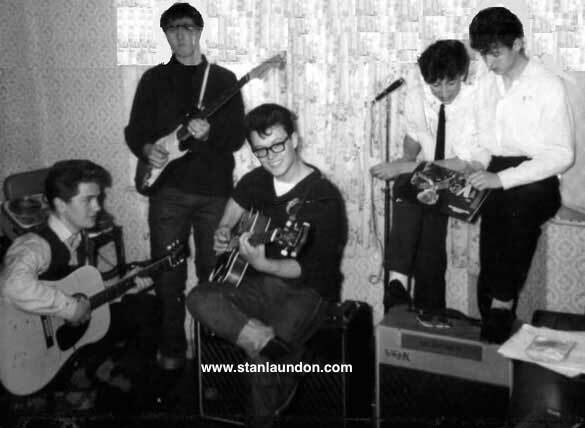 Eventually I managed to save the money for a real bass guitar and bought a new Hofner "Fiddle" bass - a la Paul McCartney - which caused lots of interest everywhere we played as it was the first in the area. I'm not exactly sure of the timing of the next events but Roly Thompson joined the group and John Rogan went up to Sunderland Empire when he heard that Adam Faith's bass player had been killed in an accident, on the off chance of taking over and we all know what happened next. I got married in April 1966 and Margaret and I emigrated to Canada to live that month, where we lived in Toronto for the next five years. Although I still play at home and have quite a nice collection of guitars, I haven't performed in public since then. One regret I have is that I don't have any pictures of the original Hartbeats. Looking back at those days we had some great times. 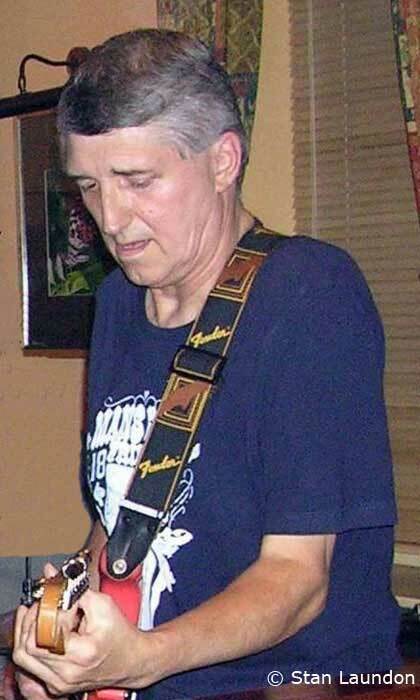 George to me was not just one of the most talented guitarists in the area but one of the nicest people you could ever meet. I'm only glad that through Ron Blair I managed to meet up with him again a few times before he died. 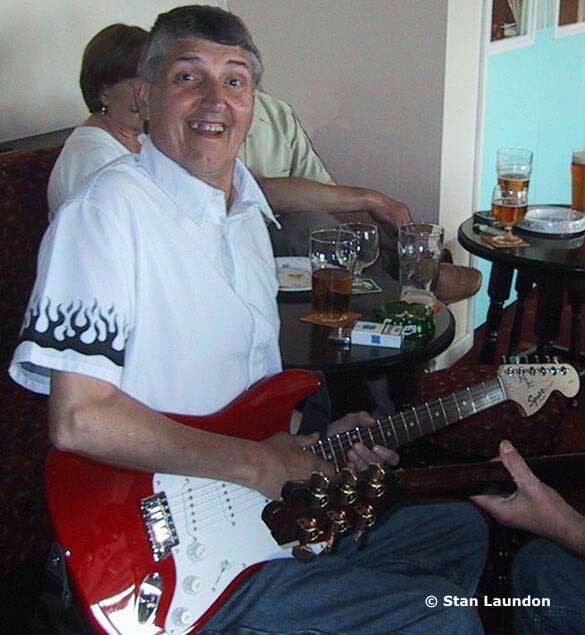 George Hart who was the founder member and lead guitarist of the 60's Hartlepool band The Hartbeats, passed way during the early hours of May 27th, 2008 after suffering from cancer. He was 64. 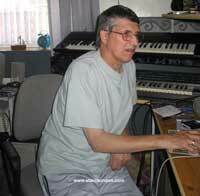 He started his musical career at the age of ten when he studied keyboards. 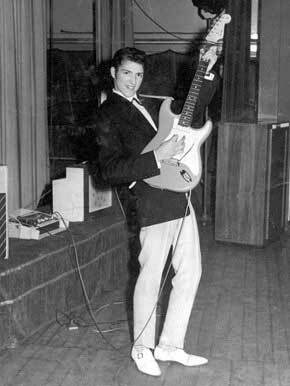 At 15 he opted to play guitar and, along with his brother John, founded The Hartbeats. In later years he also played with The Plainsmen, The Reaction Show Group, Two of Hearts, The Harts Showgroup and The Hart Family who won the ITV television show "New Faces" in 1974. 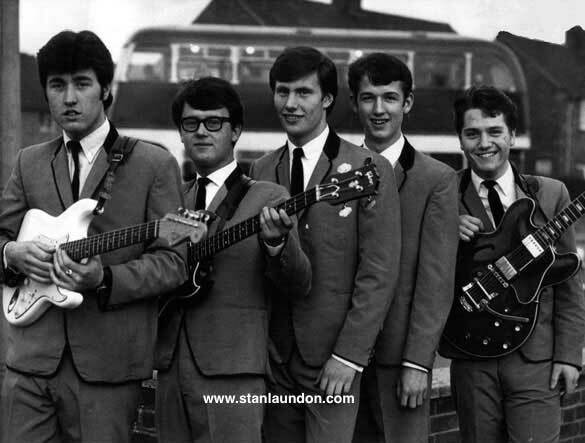 John Rogan, bass player with The Hartbeats, joins Adam Faith & The Roulettes. An early photograph of John Hart which came to us courtesy of Derrick Rowbotham. 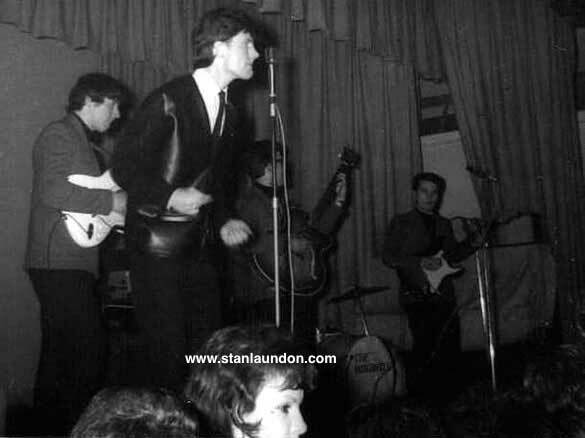 The Hartbeats at King Oswy Club in 1961 with George Hart, John Hart, Roly Thompson and Brian Moon. I do believe that Eric Leighton is third from the left with Olive Hart on the extreme right. 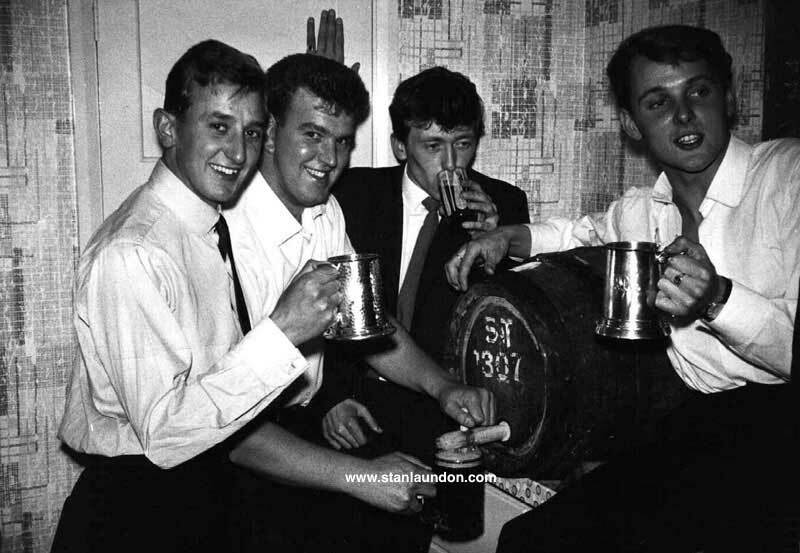 Brian Moon, one of the founder members of The Hartbeats, celebrates his 21st birthday in 1965 with friends Ron Owen, Derek Anderson and Ian Muller. Mr. George Hart senior's car sometime very early in the 1960s with John Hart on the extreme left and Roly Thompson on the far right. 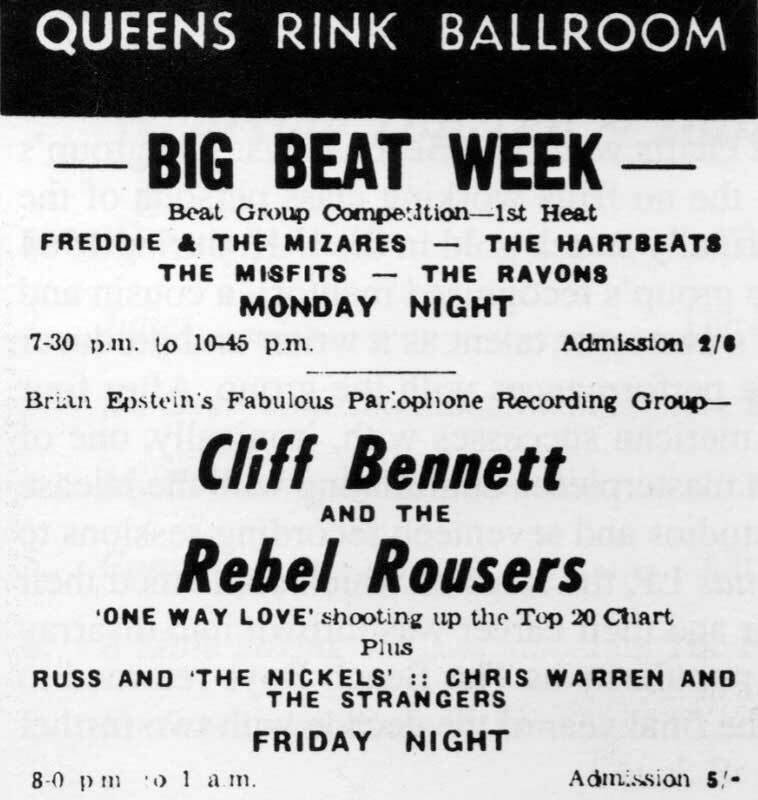 The Hartbeats, Freddie & The Mizares, The Misfits & The Ravons joined Cliff Bennett & The Rebel Rousers at The Rink in 1964. 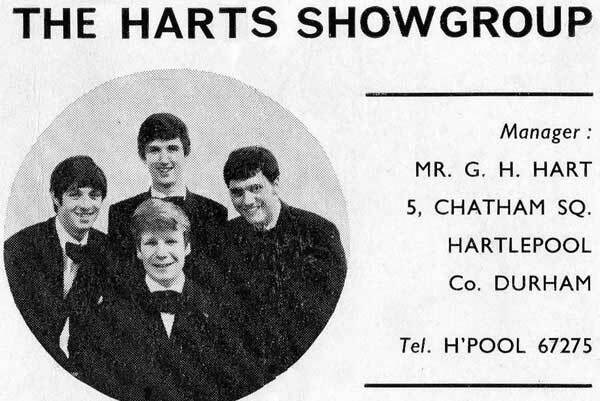 The Harts Showgroup card came from the collection of Alan Lindridge. Geoff Alder with a white Fender Stratocaster doing a show at his old school - Dyke House. 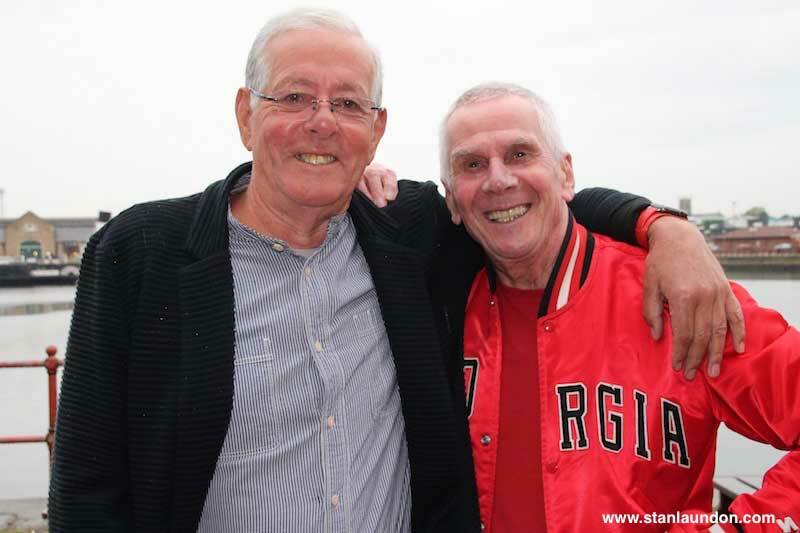 Former Hartbeats bass guitarist John Rogan with Stan Laundon on June 28th, 2016 - the first time they'd met since April 21st, 1963 when they were both at the Empire Pool in Wembley. 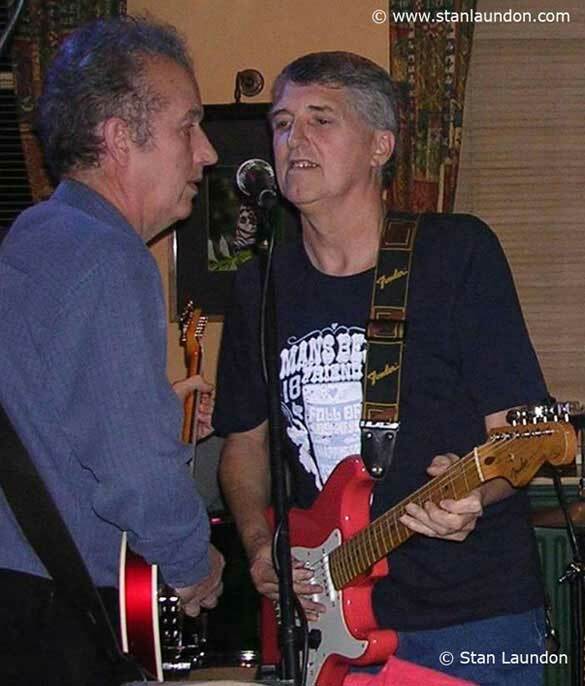 Former Hartbeats musicians Ken Officer, John Hart and Roly Thompson enjoying a reunion at the Blacksmith's Arms in Hartlepool on Monday, November 21st, 2016. See George Hart with The Hartbeats at The Queen, in Easington Road in 1965, on this Vaux commercial video from North East Film Archive. 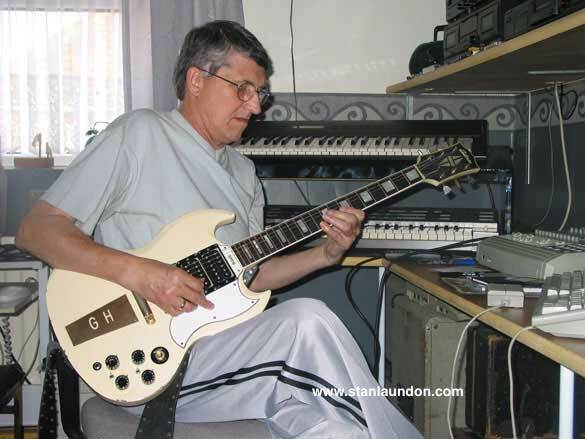 A personal tribute to George Hart by Stan Laundon. It is always sad when a friend or colleague dies. It was a privilege for me to have known George since the 1960's. 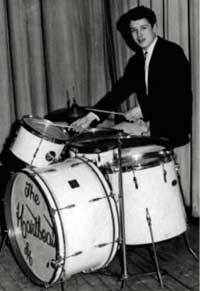 He was the founder of The Hartbeats - without any doubt, in my eyes, the best group that Hartlepool had ever seen. George was extra special. 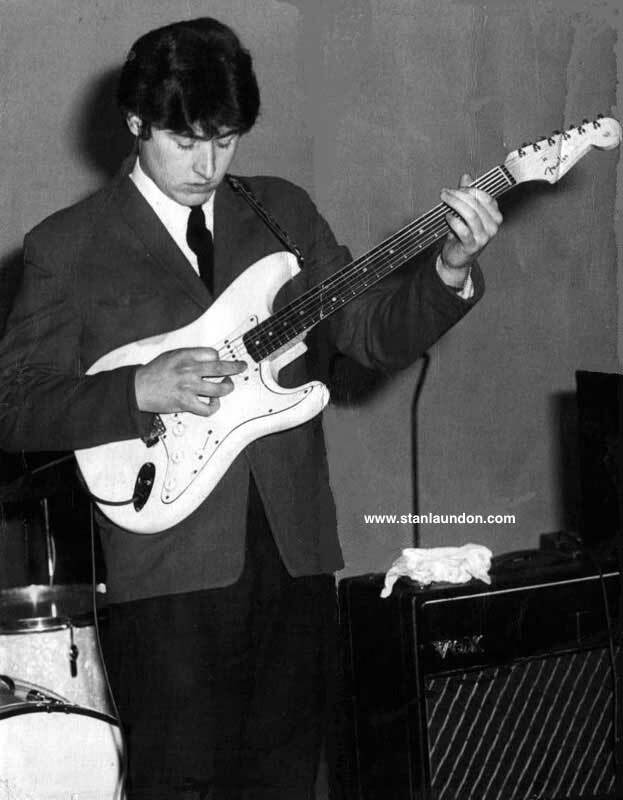 He was a guitarist we all wanted to be like. He was a true gentleman. It was a pleasure to have known him and an even greater pleasure to share a stage with him as I did a few times since 2004. George may you rest in peace and show them all how it's done up there with the Angel Band.